Your best option for peace of mind. "GoOnline" includes all you need. interested in your ideas. Using this website as a basis for creating your own project, you present your ideas evidently and clearly. Whether you're looking for tanning, beauty, massage, nail, hair or tattoo salon website, this trendy clean website is the one for you. 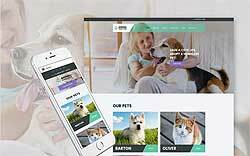 Built with attention to details and spiced up with HTML plus JS animation, this design will make your site more visually appealing and engaging. Joomla website most suitable for Maintenance Services, Tools & Equipment, Industrial and Security websites. 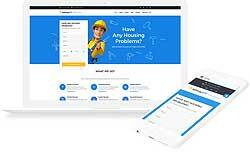 If your company is involved in selling tools, providing home repair and maintenance services, we recommend that you choose this responsive Handyman Services Joomla website as a design solution for your business website. Fully-responsive website, which means that it can be viewed on any device, and fully-compliant to the latest web coding standards, ensuring you have a technically sound site that looks professional and has the functionality you need. Copyright © 2019 WEB-SOLUTIONS LTD. All Rights Reserved.